Why not browse through the Mann’s Luxury Fleet of Wedding Cars that are available for hire in Jewellery Quarter. Our car range includes the Wedding Rolls Royce Phantoms, white and silver Rolls Royce Ghost, Bentley Continental Flying Spur and our white and silver range of stretched Limos and H2 Hummers. Your wedding is an extraordinary day in your life, you expectedly so want everything to be perfect, Wedding Car Hire is no exception. Mann’s Limos is the leading reliable provider of multiple and duplicate matching Wedding Cars for Hire. Mann’s limos provide everything from classic cars to modern luxury cars for your Jewellery Quarter wedding. 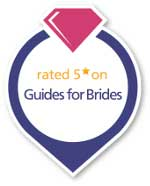 Mann's core business is Wedding Car Hire in Jewellery Quarter. Owning all of our own vehicles and not relying on the supply of luxury cars from third parties means you can rely on us to supply the Prestige Chauffeur Driven Wedding Car no matter what. We are also able to provide Hummer Limo Hire in Jewellery Quarter. We guarantee our Luxury Cars will help make any event exceptional be it your Jewellery Quarter hen/stag night; school prom; airport transfer; or any other special occasion. We will provide the ultimate car hire experience, when it comes to arriving in style Mann’s limo is by far the most popular and reliable Wedding car option. Our Luxury and Classic Vehicle range are trusted in the hands of our fully qualified Limo Hire and Wedding Hire Chauffeurs. Mann’s Limos offers a friendly and professional service and the packages we can provide in Jewellery Quarter are second to none. Manns offer a reliable and safe journey every time you book with our team of experts.